A fascinating, well-crafted, gut-gripping story you won’t want to miss! About the Story: Grieving from the death of his wife, Lord Colin Campbell listens to the cries of his newborn son whilst penning a missive to the king. With no marriage prospects, Colin petitions his majesty for help in finding a stepmother. Never again will he fall in love—the death of a woman brings more pain than losing a whole contingent of men on the battlefield. Feisty, quick tongued and smart, Margaret Robinson is delighted when her father receives a messenger from the king…until she discovers what news he brings. In a sennight, she will wed the notorious Black Knight—her life is about to end. Tension builds during the wedding and deteriorates from there…until an accident draws them together. Just when their love begins to blossom, a dire request arrives from the Pope. Colin must join the Crusades at once. Their fragile love is forced to withstand the seductions of hell—Margaret tempted by a scoundrel laird—Colin courted by Satan himself. Aye, the war for Christendom could very well ruin their dreams forever. My Thoughts: The author has outdone herself on this one. It was unbelievably awesome in every respect and very moving. She starkly brought to life this part of history with its perils and danger. These highland people lived harsh lives with much heartache. The story, as told, had me experiencing the impossibly severe environment they had to endure. Wives, husband and children died either through illness, war, or childbirth. Few would live long lives. Population had to be maintained for in numbers they could survive. To remarry knowing your new wife may die of childbirth as your first wife did, must try the depths of the soul. Such heartbreak to love a woman and through the joy of union create life only to have her life taken. Colin Campbell, Black Knight of Rome was the epitome of strength, both in body and mind. He took care of what was his and followed the edicts of the king and pope. He fought the idea of love after his first wife died, but through its very power he saved himself. Lady Margaret was one very strong woman, accepting her fate trying to make the best of her lot and use her talents to improve the living conditions for her clan. I loved how when I thought things could not get worse, they somehow did. Emotions were pulled from my core. Now that’s good storytelling! David Gillies did not tell the story, rather he made me see it. His personifications of the various characters were who they were, for I saw them clearly, completely mesmerized. I no longer heard his voice, I saw the characters and heard their inner thoughts, anguish and speech. I am eager to read the next in the series with the next book, A Highland Knight’s Desire. About the Author: Amy loves Scotland! She holds an MBA from Heriot-Watt University in Edinburgh and now resides in Southwest Utah with her husband where she predominantly writes historical romance. 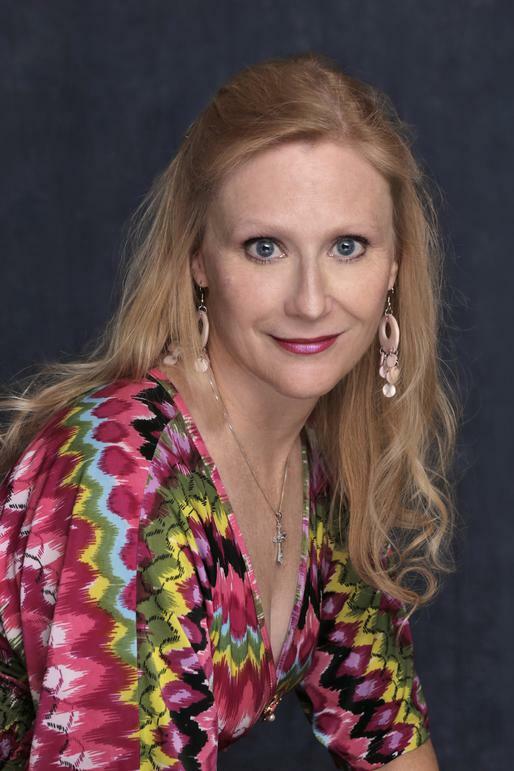 Amy is the president of the Heritage Writers Guild, and a member of the Celtic Hearts Chapter of the Romance Writers of America and lectures on writing topics. Amy’s first published novel, now titled Boy Man Chief, won the League of Utah Writers award for Best Manuscript, and the St. George Spark Book Award. Since then, she has won many other writing awards. Her novels, Captured by the Pirate Laird, The Highland Henchman and Beauty and the Barbarian achieved bestseller status on Amazon’s Scottish Historical Romance genre list. About the Narrator: David Gillies is a multi-talented individual living in Glasgow, Scotland. We learn of him here as a voiceover artist, narrating Knight in Highland Armor written by Amy Jarecki, the second of her books he’s narrated. He is also an actor, singer, bassist, pianist, violinist, composer, musical director, sound designer and radio producer. Nice set of talents and in this novella he certainly displays his voiceover expertise. 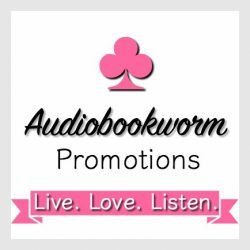 This entry was posted in Audiobook, Audiobook Review, Medieval Romance, Romance, Romantic Suspense, Women's Fiction and tagged Amy Jarecki, Audiobook Review, Dave Gillies, historical romance, Knight in Highland Armor, Knights of St. John, Medieval Romance, Scotland. Bookmark the permalink. Lovely, thoughtful review. Thank you from the bottom of my heart. Amy gave me a copy of this book both in a signed print edition and the audio book. Thanks So Much Amy. I bought the novella Return of the Highland Laird in both kindle and Whispersync Audible. Unfortunately I’ve had issues with the Whyspersync. I started the download and had to interrupt it. Now it won’t download it just keeps saying preparing download but never goes any further. I do have it on my audible app though and can listen to it there. I read Return of the Highland Laird, as well. I haven’t used the Whispersync yet, so can’t comment. I really like Amy’s work. The next I’m looking at is The Highland Henchman. So good of you to reblog and pop by! I’ve enjoyed all your stories and love the audiobooks which enrich the telling with the lovely brogues. The book works fine in my audible app., so I can listen to it. It’s just an issue in the kindle app with Whispersync. Initially it started to download but due to a problem I was experiencing with Vonda Sinclair’s book and Whispersync I had to interrupt it. Now Vonda’s book works great but Return of the Highland Laird is working on the Audible App but never gets past the preparing download on kindle. I of course can read it but I don’t get the luxury of reading along with the narrator.